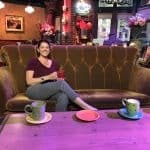 Home » Substitution School – Missing Ingredients for Cooking? 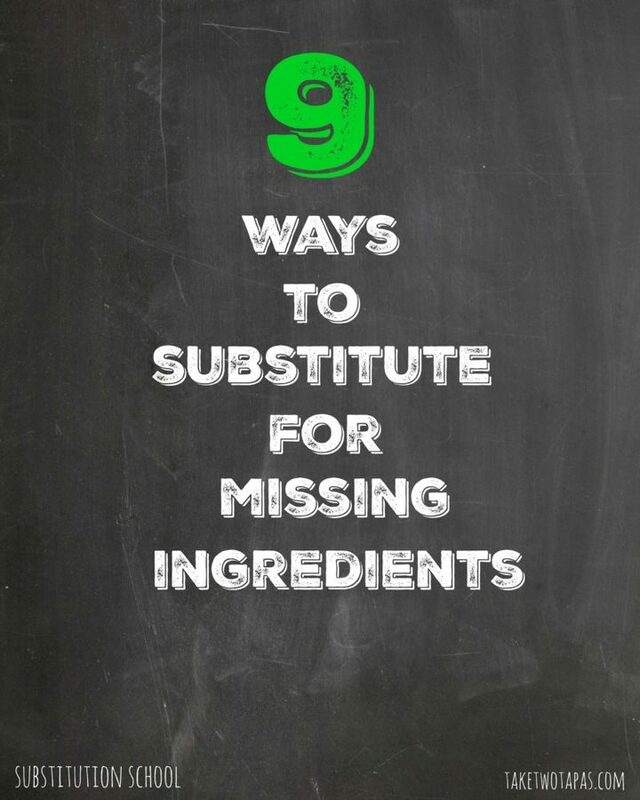 Substitution School – Missing Ingredients for Cooking? Ever get midway through a recipe and find that you are missing an ingredient? I do all the time because I am not a planner. I run out of ingredients all the time and now I have a substitution for them without making ANOTHER trip to the store. I hope you find these 9 ways to make an ingredient substitution helpful. And maybe they save you another trip to the store… That is always a bonus. I spend too much time there anyway. When I am baking cakes, which is quite often, I always run out of buttermilk. Usually because I bought a quart or half-gallon for the last cake, didn’t sue it all, and then had to throw it out because it spoiled. Or, you only need a tablespoon and don’t want to buy a large amount. Now you can make your own. To make 1 cup buttermilk, mix 1 cup milk with 1 tablespoon of lemon juice. Let sit for 5 minutes. Then proceed as usual. While reading a cake recipe you come across Cake Flour as an ingredient. You roll your eyes and then curse because you have to buy that “fancy” flour to make a cake. How many people are using the “fancy” flour in their cakes? I like it when I am making smaller bundt cakes because it does make a slight difference. It has less gluten than regular flour so it makes a more tender “crumb” when it is eaten. Don’t want buy “fancy” cake flour? Make your own! To make 1 cup of cake flour, mix 1 cup All-Purpose flour with 2 tablespoons of corn starch. Mix and sift together. Measure out 1 cup and use as you would in the recipe. Everyone is drinking their apple cider vinegar for breakfast. Or so they say you should. It helps with digestion, curing hiccups, your metabolism if you are trying to lose some pounds, and a multitude of other ailments. So what do you do if you drank all your apple cider vinegar for breakfast and now don’t have any for your recipe? Make your own! To make 1 tablespoon of apple cider vinegar, mix 2 teaspoons of lemon juice with 1 teaspoon of apple juice. I love a vinaigrette salad dressing and I use all varieties of vinegar. Balsamic still being my favorite. Much to my chagrin, I was out the other day when I went to have my salad. What’s a girl to do besides using Ranch? Make my own balsamic vinegar. Did you know that you can make a VERY convincing substitute with other ingredients? To make 1 tablespoon of Balsamic vinegar, mix 1 tablespoon red wine vinegar, 1 teaspoon of grape jelly, and 1/4 teaspoon of soy sauce. Heavy cream is another one of those ingredients I hate to buy because I won’t use it again and it costs a lot of money to purchase. Here is a way to make your own and save your pennies in the process. To make 1 cup of your own heavy cream at home, mix 2/3 cup whole milk and 1/3 cup melted butter. Mix well and add to your recipe. 1 cup oil can be used instead of 1 cup butter. Love making deviled eggs? Out of mayonnaise? What about some dip? You need that mayo don’t you? Not really!! Grab that avocado on your counter that is almost overripe. Mash it up and use it instead! Avocado and mayonnaise can be used in equal amounts. How about that fancy lemon tart that you want to make but it calls for Meyer lemons? I love Meyer lemons because they are sweeter and have a fuller flavor. But they are hard to come by in my tiny neck of the woods. I have planted an “Improved Meyer Lemon” tree in my backyard. Really, my hubby planted it because I kill everything that grows. I am totally surprised that my kids are still alive. It will be a while before I am juggling all those pretty lemons so I will make my own Meyer lemon juice. Mix equal parts lemon juice and orange juice to make your “Meyer” lemon juice. For example, for 1 cup Meyer lemon juice mix 1/2 cup lemon juice (use fresh please) and 1/2 cup orange juice (also fresh). If you don’t have fresh lemon juice and orange juice you have to go to the store anyway. Make a list. Back to baking? Found out your baking powder is gone, expired, or you don’t have enough? Mix your own! To make 1 teaspoon baking powder, mix 1/4 teaspoon baking soda, 1/4 teaspoon cornstarch, and 1/2 teaspoon cream of tartar. You know you have a small bottle of cream of tartar in the back of your spice cabinet. I know I bought one when I moved into my first house because EVERYONE should have some. Especially if you are whipping up meringue and egg whites on a regular basis. Other than that, what is it used for? I think I still have the original container since I use it almost never! Need some more hints and tips? 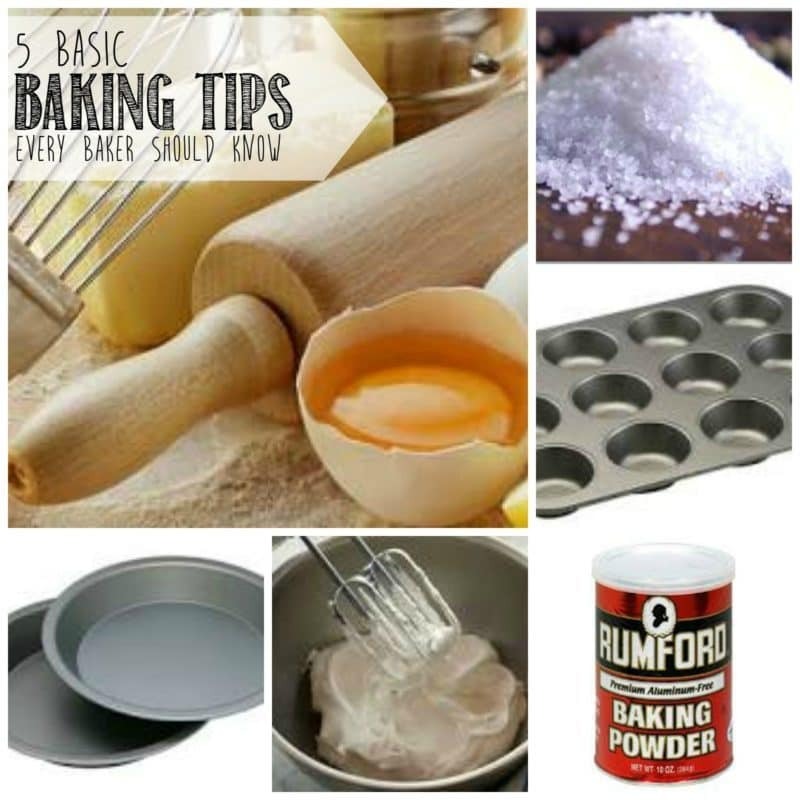 Read 5 Baking Tips and Hints!